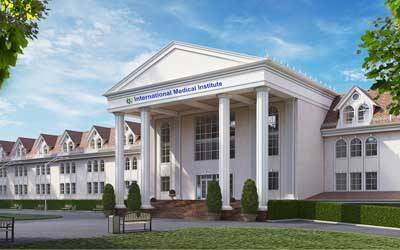 IMI or The International Medical Institute is one of the best who provides medical education in the Kyrgyzstan Republic. IMI is also one of the most dynamically expanding Institution who provides higher education in Central Asia. IMI has been formulated by mutual agreement between higher medical institutes in Kyrgyzstan and MUNIB (INTERNATIONAL UNIVERSITY OF SCIENCE AND BUSINESS). In IMI 526 extremely qualified teachers work to provide quality education, from 526 extremely qualified teachers 86 are professors and doctors of medical sciences, 315 associate professors, and claimants of medical sciences. The duration of General Medicine Program is 5 years. The option of studying in English is also available. Quality education:-The degree students get from IMI is well recognized in the whole world. Equipped with all the modern tech, IMI is famous for its well and quality education. Cost effective:-With the low fee structure and high standard education, IMI becomes the first choice of the students. Worldwide acceptance of the degree:-The degree that you recieve from IMI and the way of teaching By which you get all the knowledge are accepted worldwide and allow students to practice from any corner of the world. Better Job Opportunities:-With worldwide acceptance of the degree, several job prospects are available for the students who is graduated from IMI. The document of the basic education, equal to the state document on the general medium (cleared) degree or professional degree awarded in the Kyrgyz Republic. In the upcoming year from 2nd to 6th-year, students need to pay 3000 USD per year as the tuition fee. The total tuition fee that students need to pay throughout their year course is 18,400 USD.